Q. What is Your Future Basketball? A. Your Future is more than basketball; it is an organization of people invested to provide a positive, structured and family environment to assist in developing student-athletes in the classroom, in their communities and on the basketball court. Q. Where Did Your Future Come From? Who Started it? A. David Fowler of Laurens, South Carolina founded what was formerly known as Your Future Inc. in 1998. Fowler renamed and relocated the organization to the Shenandoah Valley (VA) in 2014 with the goal to continue to educate, and assist student athletes of all ages as they advance in their athletic and academic careers. Your Future has served many different areas over the years including; Laurens County, South Carolina, North Florida (Tallahassee), East Texas (Longview) & Central Virginia (Culpeper). Your Future also serves as a pipeline in the college recruiting process and places its student athletes on the highest national stage, and against the strongest level of competition, and works with the student athletes and their families and with the college coaches to make the process go as smoothly as possible. Your Future strives to involve the whole community in the development of its youth, and provides many opportunities and events that do just that. Q. What does Showcase Travel Basketball Mean? A. Spring and Summer basketball is a very broad spectrum. There is Local teams, AAU teams and Travel teams. Local teams usually play within an hour of their central location in tournaments that may or may not be sanctioned by a larger organization (AAU, YBOA, USSSA, etc..). These teams oftentimes are to keep the same kids playing basketball together year-round and in many cases, are the kids that will be playing school ball together throughout secondary school. Amateur Athletic Union (AAU) or similar teams play in AAU (or other larger organization) sanctioned tournaments with the goal of winning the State Championship and qualifying for Nationals. Showcase Travel basketball is for teams who travel around their Region or in some cases the United States to play in NCAA sanctioned tournaments or other highly competitive tournaments that provide the opportunity to be seen and evaluated by College Coaches and/or Scouting Services, and are for kids who aspire playing basketball at the collegiate level. Your Future Basketball teams are considered Showcase Travel Basketball teams; however, the YF Dragons teams are considered Local Teams. Q. What is the YF Dragons? A. The YF Dragons is a local team based out of Greene County, Virginia under the Your Future Basketball umbrella that is made up of mostly Greene County student athletes in grades 6th-8th. This team serves as a feeder program to the William Monroe High School team and focuses mainly on individual development within the realms of the high school program. The YF Dragons program runs strictly during the Fall and Winter months and is not associated with the Showcase teams in the Spring and Summer. Q. Who will be working with my son or daughter? A. Your Future Basketball requires ALL coaches to submit background checks through verified volunteers and take an NCAA certification course through USA Basketball as well as a concussion course to coach in the program, so that you can feel safe while your child participates in our program and travels with the team. The Your Future Basketball board of directors is made up on four individuals; David Fowler, Leticia Fowler, Zan Allen and Michelle Allen. David and Leticia Fowler are both teachers at William Monroe High School and David coaches with the Varsity Boys Basketball team as well. Zan and Michelle are both employees of the University of Virginia, so you can count on professional state employees who have extensive background checks, professional references and years of experience working with youth running the Your Future Basketball program. Q. How Can Your Future help my son or Daughter? A. Participants can expect the highest level of coaching, competition, exposure, and tradition in the country. Your Future coaches & volunteers have an abundance of knowledge and experience and are dedicated to providing valuable life lessons and top-notch teaching to your son and/or daughter on and off of the court. Your Future travel teams compete in some of the strongest tournaments in the nation and against the highest level of competition around the country. Your Future staff has built relationships with many College Coaches and scouting Services and strives to provide the maximum amount of exposure through all their programs and events. Your Future staff works with institutions of higher education to provide the best opportunities for its student athletes. Q. How will my child gain life lessons from Your Future? Q. Who has Your Future Basketball and/or their coaches helped? A. Your Future Basketball as well as their coaching staff has assisted many student athletes in various ways. There have been many student athletes who have developed their game within the program and from the coaches involved in Your Future. Many student athletes have gained valuable experiences and have been helped in many other ways than just basketball. Then there are many student athletes who have gained exposure to college coaches and have moved on to play college basketball at the next level. The link below is a list of former players who have played for Coach Fowler and/or in the Your Future Basketball Program. Q. Who can participate in Your Future events? A. Your Future Basketball is NOT FOR EVERYONE; however, because Your Future offers so many programs, EVERYONE can be included in some way. NO ONE will be left behind if they are 100% COMMITTED to their future. Your Future believes everyone deserves the opportunity to better his or her future, and we are here to assist with that. However, Your Future is not for student athletes who are not 100% committed and who are not interested and dedicated to the highest level of basketball and education and who are not looking to be a part of a much-disciplined basketball organization. We have VERY HIGH expectations for our student athletes, however, we are a very committed and dedicated staff and do not expect any more than we are willing to give. Q. How is Your Future different from other programs? A. Your Future takes pride in offering more than the “average” travel basketball program. Your Future offers more than basketball. We offer Life Lessons, we offer a VERY affordable option to gain development and be seen by college coaches and scouting services. Your Future is different because of the numerous amounts of opportunities and services we provide through our program. - We require commitment; we have a consistent roster and do not add players each tournament. You must be committed all season to play for Your Future Basketball. - We make every effort to make sure that we are affordable for EVERY student athlete interested in being a part of our program. We offer fundraisers to cover the cost of each student-athlete interested in participating in our program. No money is used for anything other than the program cost and fees. No Individual affiliated with Your Future profits from the money raised, donated or contributed to the program. - We don’t just claim to be a Showcase program, the coaches from our program have spent many years building relationships with college coaches and scouting services so that they can provide the best opportunities for our student athletes. Your Future Basketball is a brand that is well-known in the college basketball community. A. Your Future Basketball has no aspirations to be a shoe sponsored team. Many shoe-sponsored programs have rules, regulations and guidelines set by the shoe company that they must follow to maintain the sponsorship. Your Future Basketball values their MVP (Mission, Vision & Purpose) and aspires to offer and provide this opportunity to student-athletes who may not have it otherwise. Q. Who can play for Your Future Basketball? A. Your Future Basketball is NOT FOR EVERYONE; however, If the student-athlete (9th grade – 12th grade) can be 100% committed and make it to all practices, fundraisers, events and tournaments, and follow the guidelines and expectations of the Your Future Basketball Program, then they can play for Your Future. We typically have players that range from West Virginia/Maryland down the Shenandoah Valley to Greene County, Charlottesville and Staunton, Virginia; however, if you are from outside of that area and can make the commitment required, you too can be a part of our program. Your Future Basketball no longer holds tryouts for their Showcase Travel Basketball teams. Prospective student-athletes are evaluated with their High School teams and will receive an invite to be a part of the teams. The rosters are generated by INVITE ONLY; however, if there is an interest in being a part of one of the Showcase Teams in the Spring and Summer, then contact David Fowler at coachfowler2@gmail.com. Q. Who can play for YF Dragons? A. 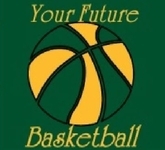 If the student-athlete (6th grade - 8th Grade) is looking to grow within the William Monroe High School basketball program and can make it to all practices, fundraisers, events and tournaments, as well as follow the guidelines and expectations of the program, they can play for the YF Dragons. This team is designed for Greene County student-athletes; however, we may also work with those outside of the county as well. These rosters are generated by tryouts at the beginning of the Fall season. If you are interested in being a part of the YF Dragons program then contact coachfowler2@gmail.com. Q. When Does Your Future Practice? A. Although Your Future requires 100% commitment, we do understand that student-athletes participate in school sports and other activities. We do our best not to schedule practices and other events that may conflict with school sports and activities. We also understand that student-athletes travel from many different areas as well. Generally, Your Future practices for three (3) hours on Sunday afternoon during the season. We do try to offer exposure through practices as well so some age groups may visit colleges and work out on some Saturdays throughout the season; however, this is not weekly. There may be "non-mandatory" workouts throughout the week as well for those that would like to get in extra work. Q. Why Choose Your Future? A. Finding the right travel basketball program can be very difficult. There are so many options out there and we do realize that we are not the right fit for everyone. * Many programs do not put the student athlete first; however, Your Future’s main objective is to assist in providing the best possible opportunities and the brightest future for our participants. Our MVP (Mission- Vision- Purpose) draws out very specific goals and strategies for assisting our student athletes. * Many programs do not practice nor do they develop their student athletes; however, Your Future has very structured practices weekly and provides great opportunities for development. * Your Future plays in prestigious and NCAA sanctioned events all over the country. Not only does Your Future participate in these events, Your Future is recognized by the tournament directors, scouting services and college coaches from all around the country. We understand that playing in these events simply is not enough to gain maximum exposure for our student athletes, so we pride ourselves on building relationships to contribute to getting our student athletes noticed and recognized. * Your Future Basketball is more than basketball. Our coaches and volunteers recognize that basketball alone will not assist our student athletes in being the best that they can be, therefore, our coaches and volunteers hold very interactive life lesson sessions where the student is involved in learning and discussing valuable life lessons that go beyond the basketball court. * Your Future Basketball has built a culture based on the five (5) components of the Championship Mindset that is recognized everywhere that we go. Our program has been recognized for the way that we carry ourselves by college coaches, tournament directors, other teams and other parents and we take pride in our culture and living by it. * Many programs charge upwards in the thousands of dollars to participate in their program. Your Future Basketball offers the opportunity for our services to be FREE. If the student athletes and their families are willing to fundraise then there will be LITTLE to NO out of pocket cost. We create a budget that requires the least amount as possible to be raised by each student athlete to participate in the best and most prestigious tournaments in the country. (Money raised pays for uniform rental, t-shirt(s), bag, tournament costs and hotel costs). Of course, there are other factors that you may consider, so if you have any other questions about our program, please feel free to reach out.